Cooper’s Hawk Winery & Restaurants, a lifestyle brand centered around food and wine, has announced their second wine collaboration with Chef Tyler Florence: a Sauvignon Blanc. The blend is a labor of love between Cooper’s Hawk winemaker Rob Warren and the Food Network host, author, restaurateur and winemaker, Tyler Florence. The collaboration wine is a limited production blend made for the company’s 300,000-plus Wine Club and is positioned as July’s “Wine of the Month”. While the wine debuted at a members-only Wine Club dinner hosted by Florence in Naples, Florida on June 20th, restaurant guests can sample the blend by the glass in the dining and tasting rooms throughout the month of July in any of Cooper’s Hawk 32 restaurants. Over the past twelve years, Florence has added several wine awards to his list of accomplishments, scoring in the 90s with Wine Spectator and Wine Enthusiast. Tyler is also a top-selling author of 12 cookbooks and proprietor of two acclaimed restaurants. Cooper’s Hawk continues to push the boundaries of experiential branding by sharing the excitement that comes from collaborating with culinary and wine luminaries like Florence, and many others including Francis Ford Coppola Winery, Jean Charles Boisset (Boisset Collection), Richard Blais, Anne Burrell and many others. Founded in 2005 by CEO Tim McEnery, Cooper’s Hawk Winery & Restaurants is built upon the belief that food and wine hold the power to forge lasting connections. A lifestyle brand focused on creating memorable moments that enrich lives, Cooper’s Hawk is the 34th largest winery in the U.S. and home to over 300,000 Wine Club Members. The concept is a fusion of familiar elements – winery, modern casual restaurant, Napa-style tasting room and artisanal retail market – that has combined to create an entirely new hospitality experience. Cooper’s Hawk has been recognized as one of the five fastest-growing restaurant chains (Nation’s Restaurant News and Kalinowski Equity Research), has won over 500 awards for its wine and has been named the Official Wine of the Screen Actors Guild® Awards through 2020. Cooper’s Hawk wines are sourced, blended, aged, bottled and distributed exclusively through Cooper’s Hawk. 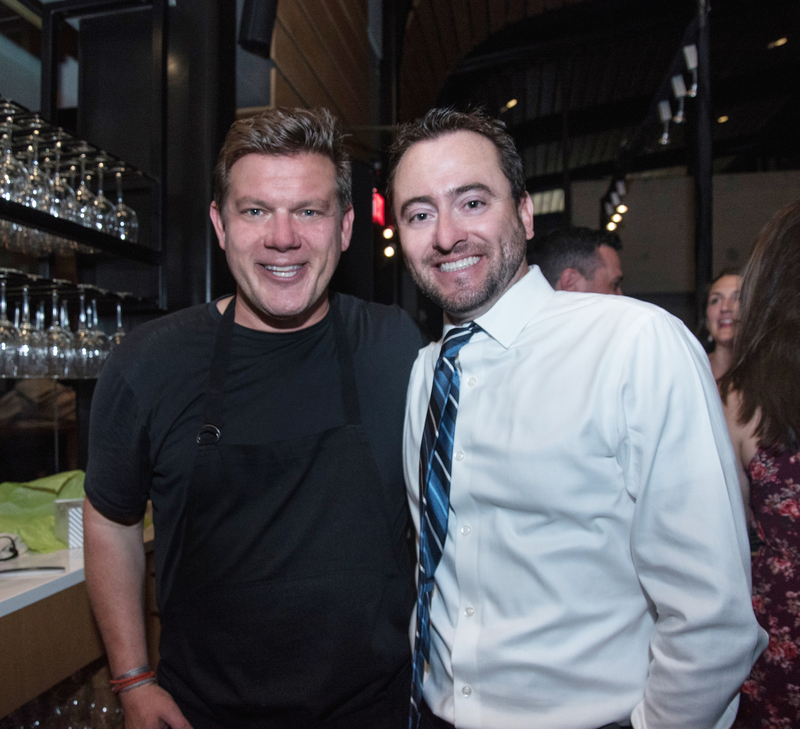 Chef Tyler Florence and Cooper's Hawk Founder & CEO Tim McEnery celebrate the launch of their collaboration wine at a Wine Club member dinner in Naples Florida.